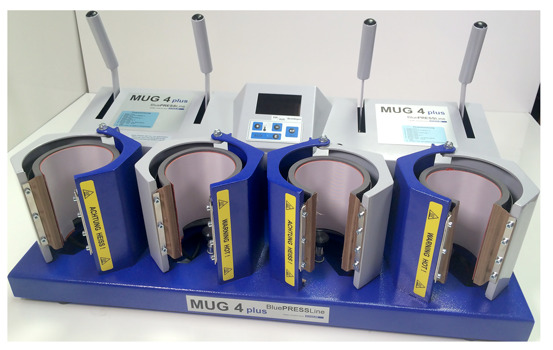 The Schulze 4 Mug Press is a production press featuring 4 individually controlled units in one compact design. Print one mug or four mugs at the same time. Capable of producing 1 mug every minute this is the perfect machine for production runs. The standard configuration we stock (and which you can order online) is 4 x 80mm cores, however, the configuration of the press is up to you and can be ordered in different size heat cores for different size products. Available core sizes : 62mm, 72mm, 80mm (standard) and 100mm.